Buzzfeed’s Katie J.M. Baker, who originally reported the allegations against Pogge, notes that the letter was signed by the chair of Yale’s philosophy department, as well as all of the department’s tenured faculty. From a cursory look at the signatures, it also appears that nearly every woman in the field (still a rarity in philosophy departments) have also signed the letter, including feminist philosopher Martha Nussbaum and critical theorist Cristina Lafont. 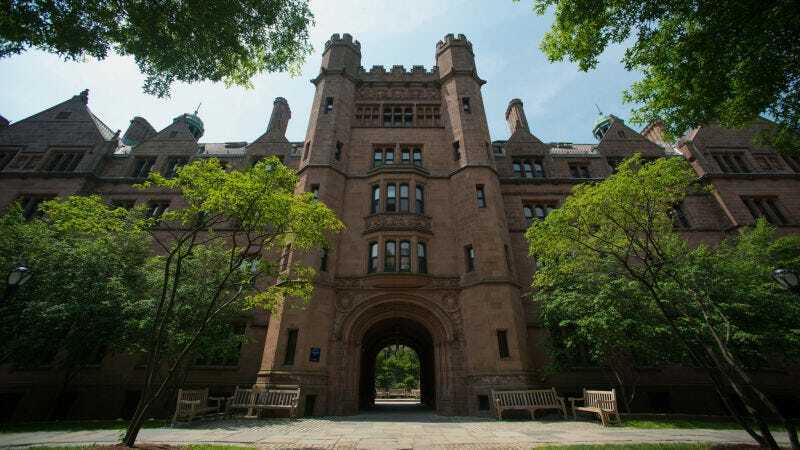 In May, Baker wrote about three women who had filed Title IX complaints against Yale alleging that the university mishandled sexual harassment complaints against Pogge. According to the allegations, Pogge sexually harassed the students and actively retaliated against at least one graduate student. Pogge was also disciplined for sexual harassment during a previous appointment at Columbia University. All of the public allegations against Pogge have, notably, been made by women of color. While the problem is undoubtedly widespread, it seems to be omnipresent in philosophy departments across the country. In 2011, Inside Higher Ed reported on the blog, “What Is it Like to be a Woman in Philosophy?” a reader-submitted website that outlines the challenges women continue to face in the field, including (largely) sexual harassment. In that report, professor Peggy DesAutels, told Inside Higher Ed that “well known, famous serial harassers,” were an open secret in the discipline. “To the degree that they are famous, they move from university to university,” she said. With the Pogge news, at least one of them has been proverbially outed. Pogge, however, has denied any wrongdoing and remains on faculty at Yale. Image of Yale University via Getty.